Does your innovation process start and end with your experienced coders? Find out what you could be missing without no-code development. Is a no-code platform a means to an end? Simply to build custom applications easily? Innovation is about the success, not the technology. Therefore, innovation is an ongoing, pressing task for businesses rather than one end-all solution. To prepare your business for the future beyond an application, you need to set your company on a path to innovation. The reality is that there is no straight path to innovation. There are sharp turns and sudden roadblocks. Your organization needs to be prepared to make detours and quickly navigate back on track. In the end, your innovation is about the destination and you need to be flexible on your journey. Among these obstacles, comes the tipping point. The tipping point is the moment at which the pressure or force from one side creates change in the other. This small change then becomes exponential. Applying this theory to business, the innovators are the citizen developers in your organization. They are the ones with the sparks of new ideas, along with the motivation to make a drastic change and take risks. They are the ones trying to convince the later adopters, who are more risk-averse and only willing to change the status quo through incremental progress. Despite having seemingly opposing characteristics, there is a middle ground between the innovators and the late adopters. While driving radical change, the change can be incremental so the idea becomes more refined and pertinent to the solution needed for the business. So, what exactly is this middle ground, you might ask? 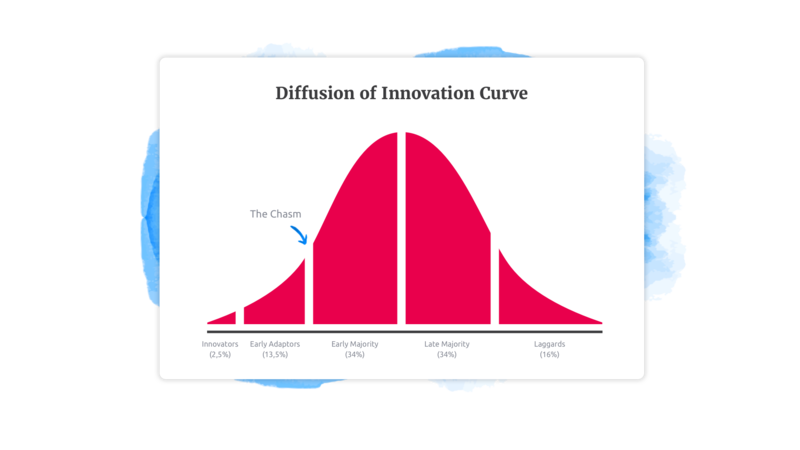 The key to achieving idea diffusion is to “span the chasm” between the early initiators with the late adopters. Who are the late adopters in your business? This may be other members of your business and your IT department. Therefore, it is important to align your citizen developers with business and IT. Innovation can often be stopped by the inability to carry out the idea into a solution. 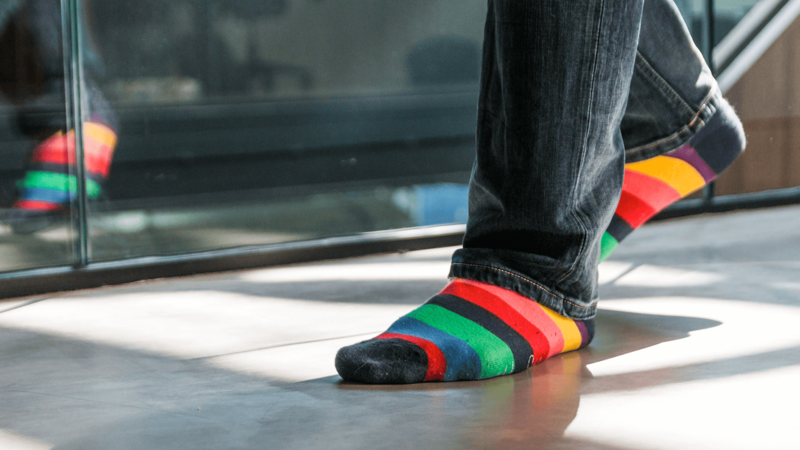 Developing with no-code enables citizen developers to span the chasm because it removes the roadblock between idea and solution, while also better connecting your business with IT. As an idea needs more than a nice-sounding description to convince your organization, a proof of concept serves as the force — the tipping point — to influence and change. The citizen developer not only sparks the idea to innovation, they can also begin realizing the idea by building a prototype using a no-code platform. This prototype invokes the chasm of change. This change is also known as a digital transformation. No matter the size or industry an organization is in, there is an unpredictable road ahead. Many established corporations have struggled to achieve their digital transformation despite having resources to so do. The widespread failure is due to the fact that these businesses cannot measure the entire impact of a significant project until after its completed. A major change may seem to be the fastest and easiest way to innovate, but it also comes with the highest risk. In order to make the necessary changes you need to succeed in the digital age, you need to make smaller calculated decisions that can be tested before you begin a drastic shift in your organization. No-code platforms offer organizations the possibility to experiment with ideas so they can experience failures on a small scale and iterate projects accordingly. Innovation is also achieved much faster without one main hindrance: coding. With less focus on the process, citizen developers can focus their efforts on developing new ideas and building quickly. By building prototypes quickly, the testing and iteration stages also take place sooner, expediting the delivery of a solution.